Fourteen million Americans would lose medical insurance by next year under a Republican plan to dismantle Obamacare, the nonpartisan U.S. Congressional Budget Office says in a report that deals a potential setback to President Donald Trump's first major legislative initiative. Fourteen million Americans would lose medical insurance by next year under a Republican plan to dismantle Obamacare, the nonpartisan U.S. Congressional Budget Office said on Monday in a report that dealt a potential setback to President Donald Trump's first major legislative initiative. The eagerly awaited CBO report also forecast that 24 million more people would be uninsured in 2026 if the plan being considered in the House of Representatives were adopted. Obamacare enabled about 20 million previously uninsured Americans to obtain medical insurance. The CBO projected that 52 million people would be uninsured by 2026 if the bill became law, compared with 28 million who would not have coverage that year if former president Barack Obama's signature health care law remained unchanged. The agency, however, said federal deficits would fall by a net $337 billion in the 2017-26 period under the Republican bill. Some Republicans worry a misfire on the Republican health-care legislation could hobble Trump's presidency and set the stage for losses for the party in the 2018 congressional elections. The CBO estimated that insurance premiums would rise 15 per cent to 20 per cent in both 2018 and 2019 because fewer healthy people would sign up after the repeal of the Obamacare penalty for declining to obtain insurance. But it said the hikes would be offset after 2020 by a $100-billion fund allocated to states in the bill and deregulation in the insurance market. House of Representatives Speaker Paul Ryan, a key backer of the plan called the American Health Care Act, said the CBO estimates showed it would ultimately lower premiums and noted that Congress and the administration planned to take additional steps to overhaul the health-care system. "Our plan is not about forcing people to buy expensive, one-size-fits-all coverage. It is about giving people more choices and better access to a plan they want and can afford. When people have more choices, costs go down," Ryan said. 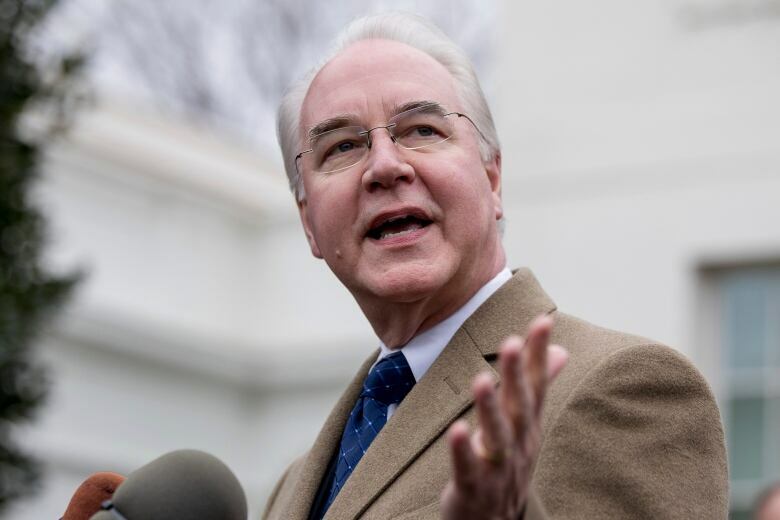 U.S. Health Secretary Tom Price told reporters at the White House that the administration strenuously disagreed with the report, which he said did not look at the full Republican plan and did not take into account regulatory reforms and other efforts to reform health care. Craig Garthwaite, director of the health-care program at Northwestern University's Kellogg School of Management, said the CBO estimates make it harder for Republicans to sell their proposal. "Overall, this is a really bad number for the AHCA. Far more people are predicted to lose coverage than many estimated — and these losses are going to happen more quickly than we would have thought," he said. 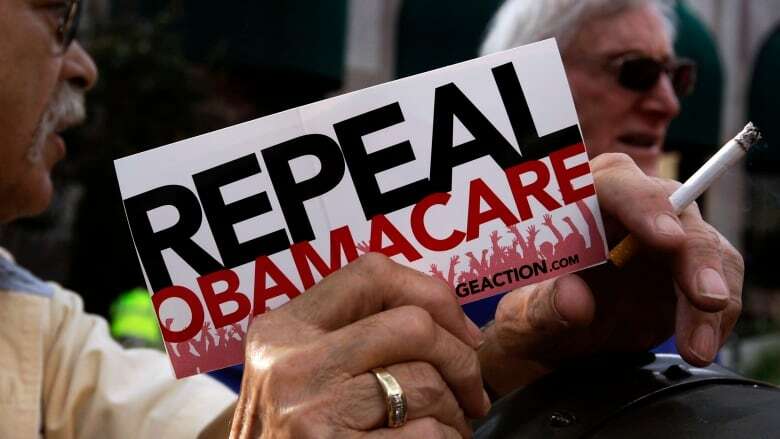 The proposal also would end the Obamacare expansion of the Medicaid insurance program for the poor that accounted for about half of the 20 million people who had gained insurance. The bill would replace Obamacare's income-based subsidies with fixed tax credits for the purchase of private insurance. "The House bill to repeal and replace Obamacare will provide you and your fellow citizens with more choices — far more choices — at lower cost," the Republican president said at a White House meeting with people opposed to Obamacare.